If you’re like me, you’ve always dreamed about getting a pair of Christian Louboutins: their red sole and great style is a must-have. Now that I see he’s made a style with geeks in mind, how can I not spend my savings on a pair? Seriously. These would go with everything. Right? 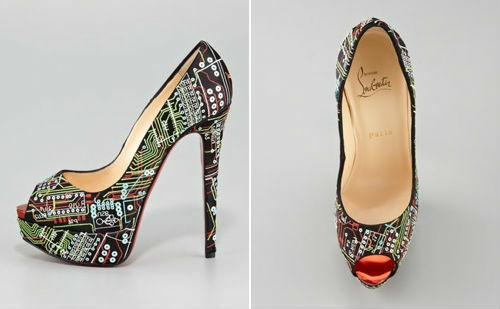 Lady Peep Geek Embroidered Pump, $1,695 at Neiman Marcus.